Here, adults can grow & play too! 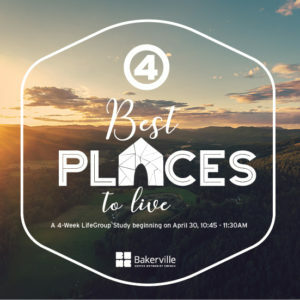 Bakerville Church believes in the growth of each person, child or adult, through the Word of God. Our adult education time is a time for you to B Adult. To be encouraged as well as stretched. To learn and to teach. Our B Adult sessions happen on Sunday mornings at 10:45 and end at 11:30. It is a time where learning to be more like Christ begins. Join us! the place where he is. Join the United Methodist Men’s Group on the first and third Saturdays of each month for a time of fellowship and Bible study. The Men’s Group Breakfast is held at the church in the Fellowship Hall. All men are welcome! The Bakerville Church Women enjoy a monthly time together in fellowship and prayer. It happens on the second Saturday of each month. All women are welcome to attend! The Women’s Fellowship is held at the church in the Fellowship Hall.